Discover modern amenities and a unique lifestyle through our photo gallery. Schedule a tour to visit our apartments in Tempe! As you can see from our gallery, our apartments are convenient and comfortable. 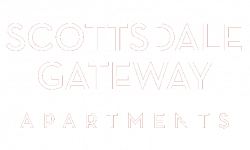 We want to make your stay here at Scottsdale Gateway enjoyable. Each of our apartments come with amenities such as A/C, dishwashers, and refrigerators. But we go the extra mile by also providing places to relax such as our dog park or business center. We even have a fitness center with free weights to provide you with a convenient place to exercise. Our apartments in Tempe Arizona are truly magnificent. Call to schedule a tour today!